Last week we were able to summit Mt.Yotei and took full advantage of the milder temperatures, clear weather and were treated to panoramic views of the region. 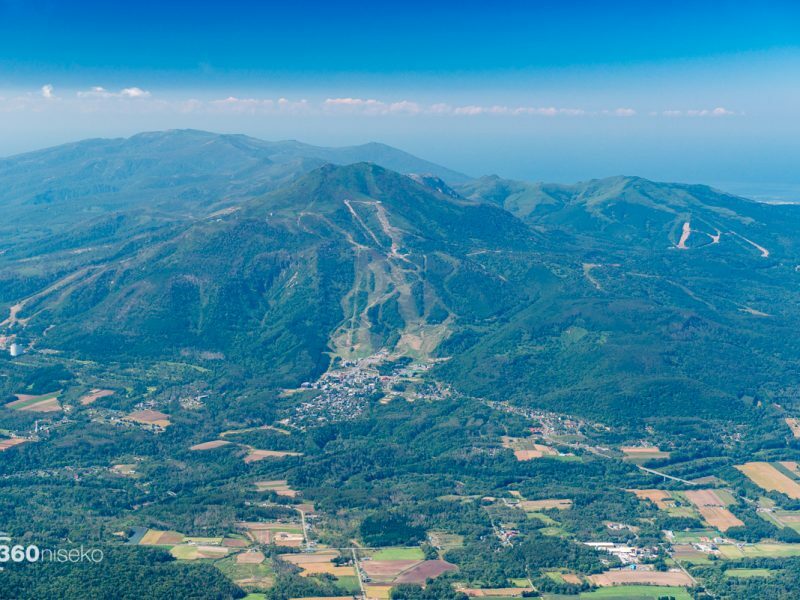 This year Hirafu Village continues to expand with the construction of quite a few large scale developments which are all nearing completion now for the coming 2016-17 season. Well feast your eyes on this – two shots taken from the summit of Mt.Yotei…one in July 2007 and the 2nd last week! Although the images don’t line up perfectly it is still interesting to slide between the images for before and after views. The changes to the upper village are the most striking with the old Yamada Onsen, Scot Hotel, Kogen Hotel and J First Hotels all gone. It is always interesting taking a look at old images of the area and reading about the development of the Niseko region. During celebrations for the 50th anniversary of resort skiing back in 2011 Grand Hirafu produced a wealth of amazing historical information on their Niseko Hirafu Interesting History Blog which is well worth checking out.